What is the magic number of calories you need to eat to lose weight? Many people struggle to lose weight because they simply are not sure how many calories they need to consume and you might be one of them. What is the right amount of calories for each day? So, there is this question that needs to be answered: How many calories do you actually need per day? First of all, there is no one magical number of calories consumed that is appropriate for all people. The specific number of calories can be different for everyone depending on a number of factors. So, the key is to find what that specific number is for you and you can do that by finding how many calories you need to consume to simply maintain your current weight. You can use an on-line calorie calculator to find out what that number is for you. How to maintain your current weight? Once you know the amount of calories you need to maintain your current weight, consider that as your baseline amount of calories where you can start from. If you simply consume the same amount of calories every day without adding any more exercises, in most cases your weight should stay the same. If calories in equals calories out, you simply maintain your current weight. How you gained excess weight? If you consume more calories and you need to maintain your current weight – which is not hard with all this junk food out there – without adding any more exercise, then you will definitely add more weight. Mostly if not all from fat. You have to Look at how much weight you’re going to gain if you have a caloric surplus, if you you eat more calories than you burn. That is exactly how you gain all that weight in the first place which you are now trying to lose. You simply kept on going over that baseline caloric limit and you stored more and more fat over time. Every time you gained more weight, the amount of calories you need to maintain that weight also increases. For example, by driking energy drinks which are full of sugar, artificial sweeteners, artificial colouring and taste, you gain gain. So, now you know how to maintain your current weight and how you gained all that excess weight in the first place. How do you lose your weight? How do you lose weight? In short, doing the exact opposite of what you did to gained weight in the first place. To lose weight, you need to burn more calories than what you consume by adding exercise, gradually dropping your caloric intake and lower that baseline bar. Therefore, you need to consume less calories to maintain your current weight while at the same time you are also working out. Then, you will begin to lose weight. Simply, create a caloric deficit by figuring out how many calories your body needs to maintain its current weight and then start consuming less calories than this while at the same time you work out 4 to 6 every week. Proper nutrition will help you towards this direction. Make sure that you eat foods high in protein and fiber and low in fat and calories. Prepare and take with you every day high protein snacks that will help you slim down, build your energy and muscles. For an interesting listing of healthy snacks, http://www.LifetoLiveit.com gives some very good recipes. Dropping calories alone will most likely help you lose weight but dropping some calories in combination with daily exercise will really speed up the progress and overall results. However, just because you need to drop some calories to maintain your current weight that does not mean that you should cut your calories by such a huge amount right away. Instead, you should drop your calories in phases with only 300-500 every 2 weeks or so. If you drop too many calories right from the start you will not have any more calories to drop. 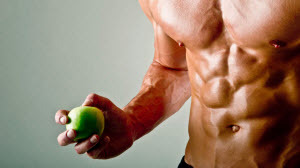 Make sure that you consume less calories than what your burn. Make also sure that you work out 4 to 6 times per week which will increase your metabolism and help you lose weight faster. Why should you drink coffee before your workout?